This statistic shows the results of a survey on the preferred food and beverages at Easter in Sweden in 2016. 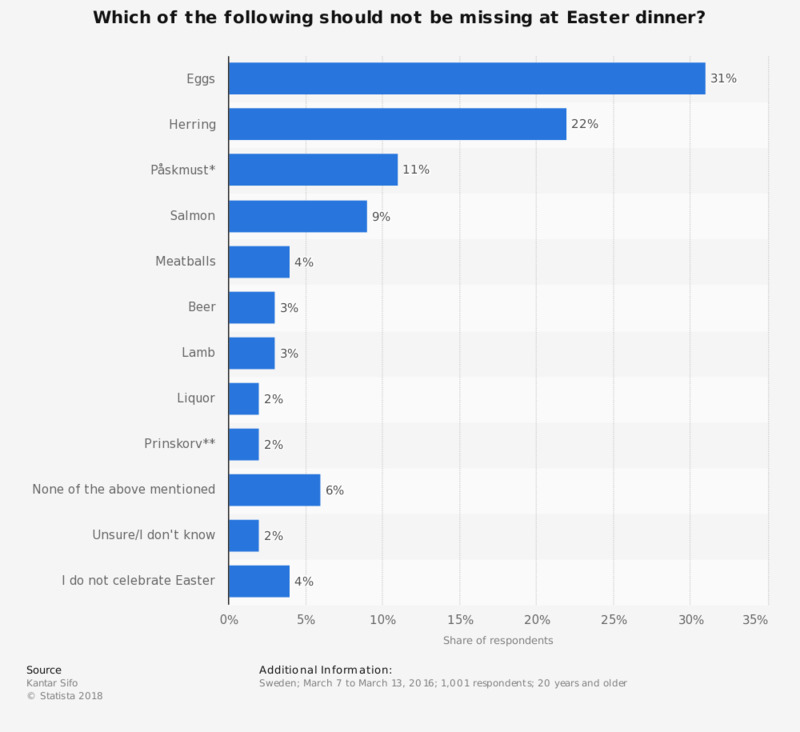 In that year, 31 percent of respondents stated that eggs should not be missing at their Easter dinner. The original question was phrased by the source as follows: "Vad av följande kan du inte vara utan på påskbordet?" * Swedish soft drink. Similar to malt beer. ** So called "Prince-sausages". Small linked sausages. Statistics on "Food trends in the Netherlands"